Virginia is striding towards a clean energy future by paving the way for faster and larger deployment of renewable energy and energy efficiency. The Grid Transformation and Security Act of 2018 declares that 5,000 megawatts of solar and wind energy are in the public interest, making it easier for these projects get regulatory approval. The state’s 10-year energy plan emphasizes grid modernization and innovative technologies, setting goals for renewable energy generation, energy efficiency, and electric vehicles. 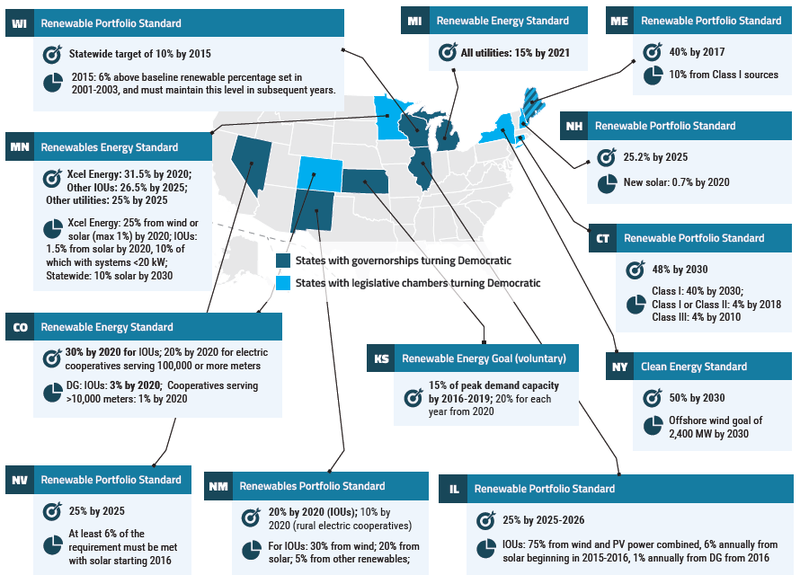 The political puzzle pieces are falling into place for nearly a dozen states to strengthen targets for the deployment of renewable generation following the Midterm elections, in what could serve as the latest driver for growth in solar- and wind-powered electricity. 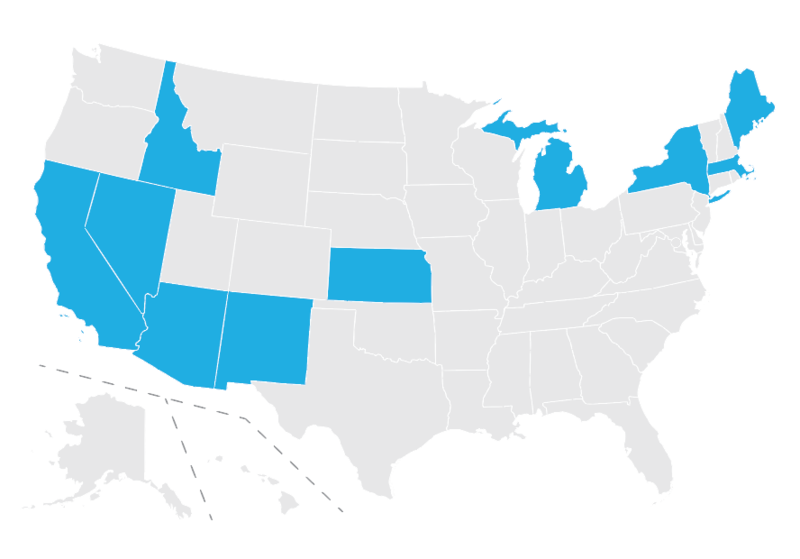 Newly elected Democratic governors in six states, ranging from Maine to New Mexico, ran on campaigns to pursue more ambitious renewable energy goals. 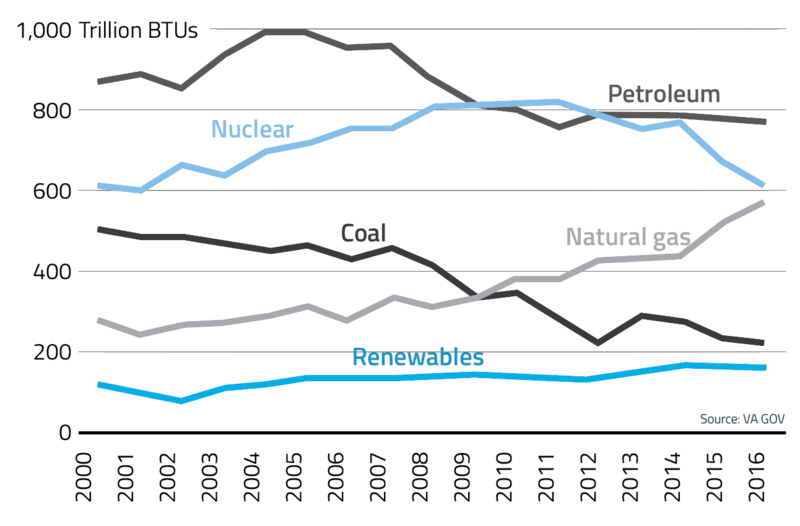 Their rise to power not only boosts the prospect for more aggressive environmental mandates and targets, but will also mark a progressive shift in energy policy from their respective Republican predecessors, which had blocked renewable-friendly measures.